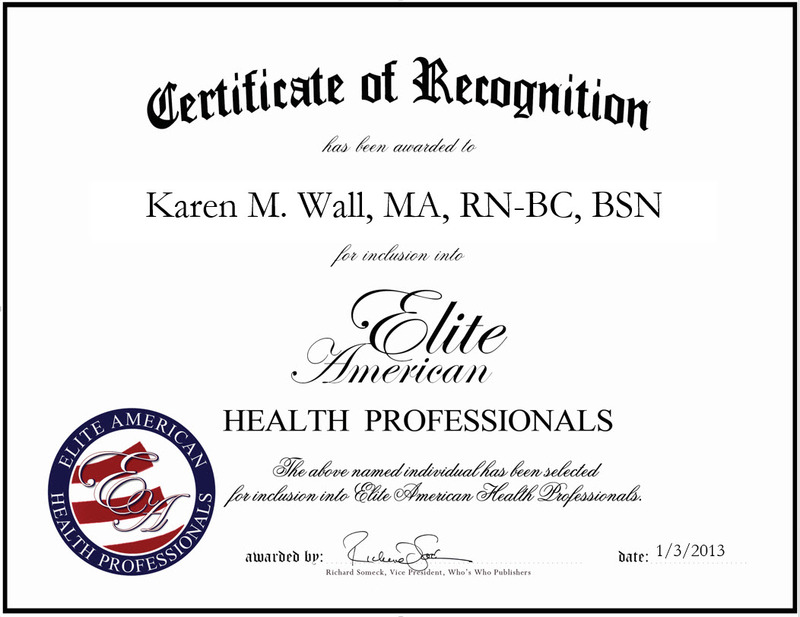 Karen M. Wall, MA, RN, BC, BSN serves the Behavioral Health division of the Palo Alto VA Medical Center. She is currently in charge of mental health care and nursing services, and treating acute addictions. In addition, she oversees patient units, including outpatient behavioral health and addictions, performs patient care, dispenses medications, monitors vital signs, and manages the intake and discharge process. Ms. Wall retired from the military and decided to pursue a master’s degree and become a therapist. She is 10 months away from receiving a master of arts in counseling psychology, and then she will pursue a license as a marriage and family therapist. Her advice to others who want to be in the field is to stay true to your beliefs and not let others influence you to do unethical things, continue to learn, and remember where you came from instead of becoming a nurse who “eats their young.” She has had several mentors who have influenced her: Jesus; her parents, Edward and Toku; Sandra Llecholech RN; Dr. Scott James, Ph.D.; the Sacred Heart sisters from her high school; Father Ignatius Rodrigues, her former priest (recently retired); and her patients through the years. This entry was posted in Nursing and tagged addiction, behavioral health, mental health care, nursing services, psychology. Bookmark the permalink.